IndonesiaTravelVisit.com | Ganjuran Church that was built in 1927 is not just a place to contemplate, but it also offers an opportunity to see the global Jesus in local appearance, wearing the Javanese clothes named surjan while listening to gamelan. Ganjuran Jesus Sacred Heart Church, as its complete name, which is located around 20 kilometers from Yogyakarta can be reached by motorcycle or car. The scenery of the green rice field and pine trees will welcome you upon entering the Ganjuran village where this church is located. Visiting this church, you will know the history of the church, enculturation of Catholic people with local community and finally you will get peacefulness. The complex of Ganjuran church was built in 1924 with the initiative of two Dutch relatives, namely Joseph Smutzer and Julius Smutzer. This church is one of the buildings built by the two relatives since they managed Gondang Lipura Sugar Factory in the area in 1912. Other buildings they constructed were 12 schools and one clinic as the embryo of Panti Rapih Hospital. This church that was designed by a Dutch architect J Yh van Oyen is one form of church social spirit (Rerum Navarum) that the two Dutch relatives had, namely the spirit to love others, especially the surrounding community most of them were workers in Gondang Lipuro Sugar Factory who reached its golden time in 1918 - 1930. In its development, the church complex was completed with the construction of a temple named Jesus Sacred Heart Temple in 1927. 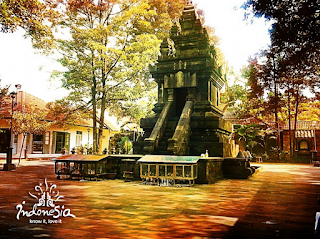 The temple with the terrace decorated with lotus flower and the statue of Jesus in Javanese clothes becomes another choice to celebrate holy mass and pilgrimage, in addition to the church offering closeness with Javanese culture. Walking around the church, you will realize that this building was designed by integrating European, Hindu, and Javanese styles. European style is seen from the shape of the building forming a cross from above view, while Javanese style is seen from the roof forming tajug that is supported by four teakwood pillars, symbolizing four Gospel writers, Matthew, Mark, Luke and John. Javanese nuance is seen at the alter, sancristi (where instruments for mass celebration are kept), doopvont (water containter for baptizing) and chatevummenen (the place of the teacher of Catholic religion). The statues of Jesus and Mary who is carrying Her son are depicted in Javanese clothes. The reliefs at every stop of the Sacrification Path Jesus is described as having hairs of Hindu monks. You can take holy water from the left side of the temple. After taking water, you can sit cross-legged in front of the temple and say the prayer. The procession of the celebration is ended by entering the temple and say your prayer in front of Christ statue. Some pilgrims take the water and put it in a bottle then take it home after they pray for it. If you want to take part in holy mass celebration done in Javanese language with songs accompanied by gamelan, you can come to this church on Thursdays to Sundays at 05:30 a.m., every night of first Friday, each Christmas and on Saturdays at 05:00 p.m. The holy mass is done at the yard of the temple, except daily mass at 05:30 a.m. that is done in the church. 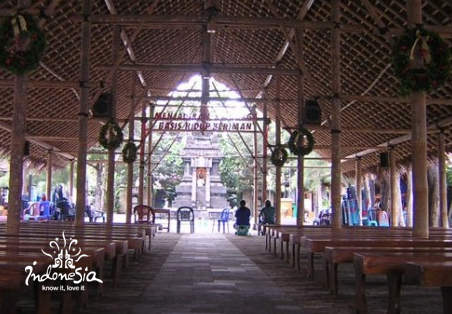 After completing the celebration or pilgrimage, take your time to talk with local people in order to know the history of Ganjuran village where the church is located. 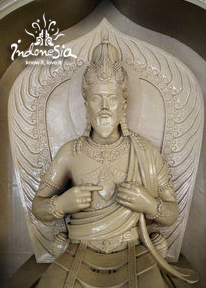 In Javanese old history, Ganjuran was part of Alas Mentaok territory named Lipuro. 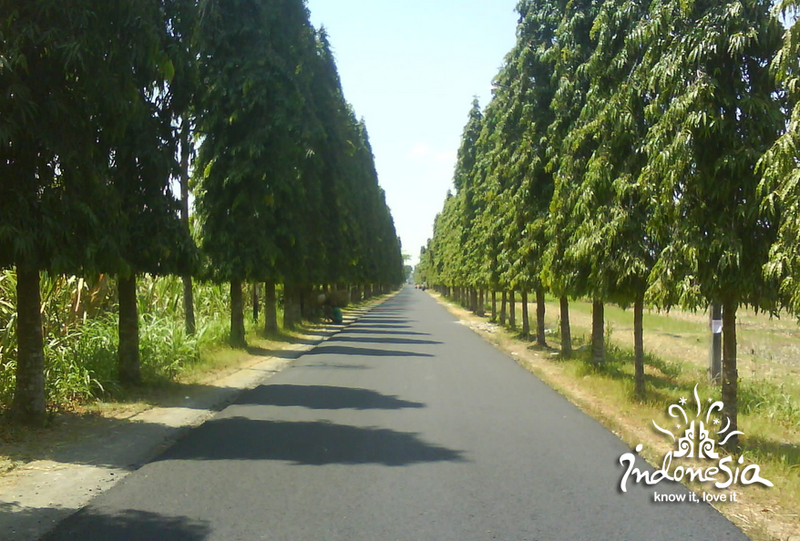 The place was used by Senopati to meditate and was planned to become the center of Mataram kingdom. The change of the name to Ganjuran itself was related to love story of Ki Ageng Mangir and Rara Pembayun who was exiled by Mataram. The love story of the two person later inspired the creation of the Javanese song: Kala Ganjur, which means human basic binding line in living life together based on love. It was from the name of the song that the name Lipuro of the village changed to Ganjuran. If you spend time talking with local people, there are many other stories to explore, such as the cancellation of Lipuro to become the center of Mataram Kingdom, the reason for exiling Ki Ageng Mangir and Roro Pembayun and so on. 0 Komentar untuk "GANJURAN CHURCH Seeing Jesus in Javanese Face"